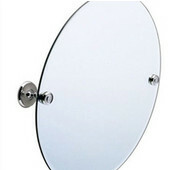 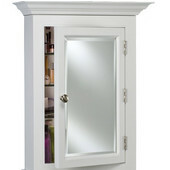 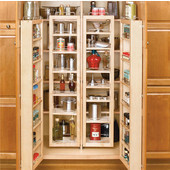 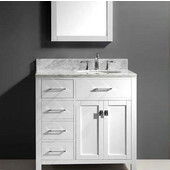 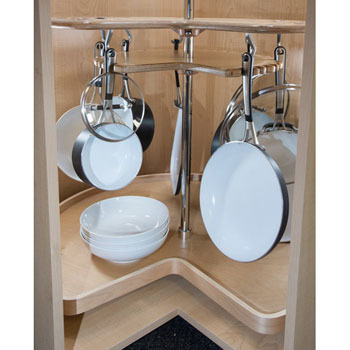 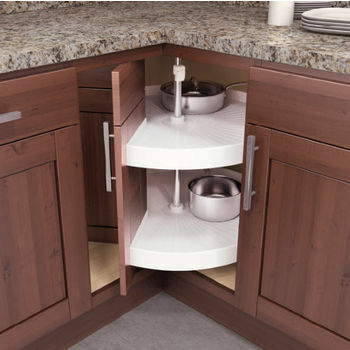 A Pie-Cut Lazy Susan is attached directly to the cabinet door when the cabinet is manufactured so that it fits precisely in the cabinet door opening. 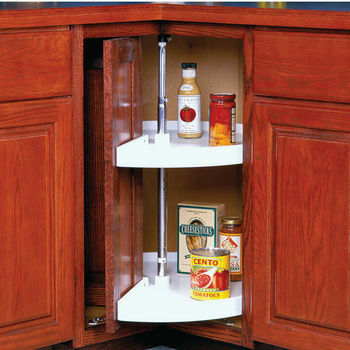 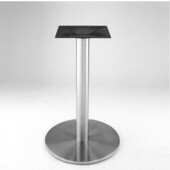 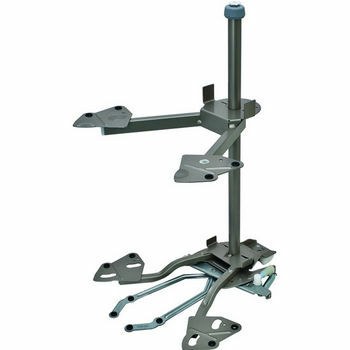 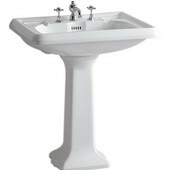 Available with one or two shelves, pie-cut lazy susans come in a range of diameters from 18" to 32" and have telescoping posts to accommodate cabinets of varying heights. 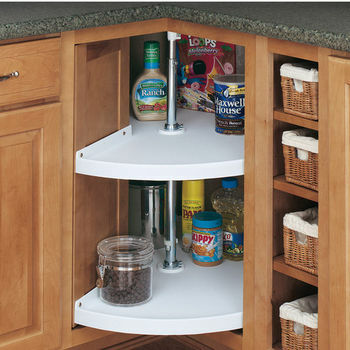 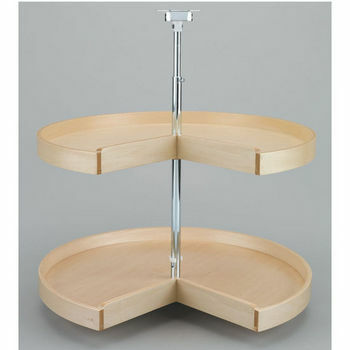 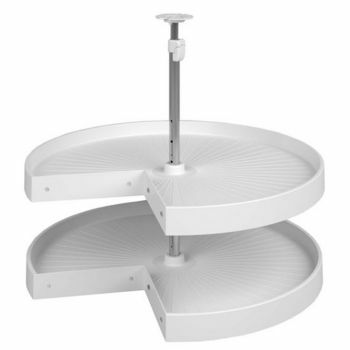 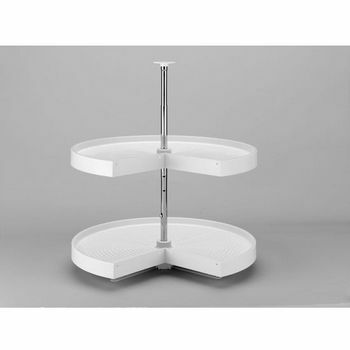 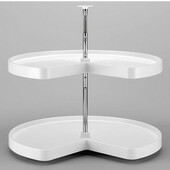 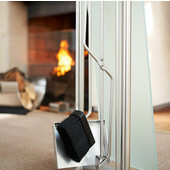 Independently rotating shelves allow you to easily reach everything in the cabinet. 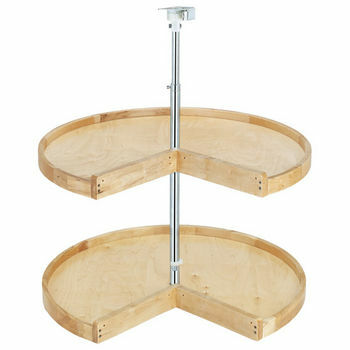 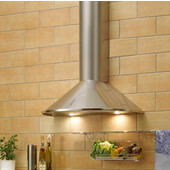 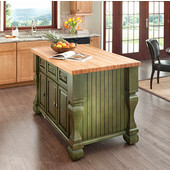 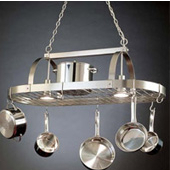 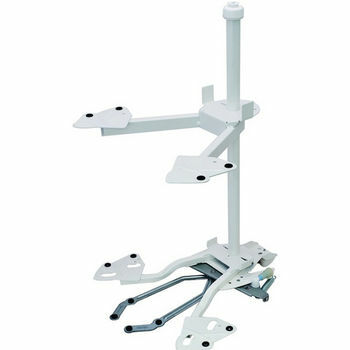 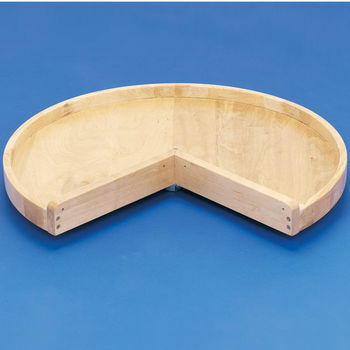 KitchenSource.com has a wide variety of pie-cut lazy susans made of wood, wire or polymer from Amerock, Hafele, KV Real Solutions, Rev-A-Shelf or Peter Meier to help you organize your kitchen and make it much more efficient. 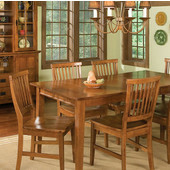 Our friendly and knowledgeable customer service representatives are available to answer your questions and assist you in placing your order. 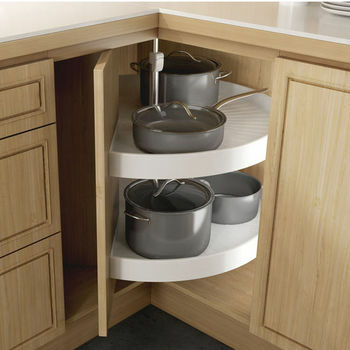 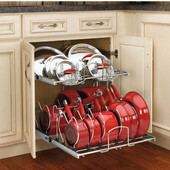 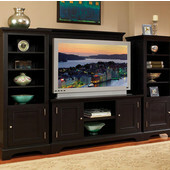 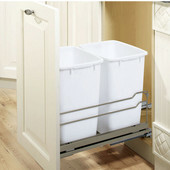 High-quality organizers for kitchen and bedroom areas in your home to help keep them clutter-free. 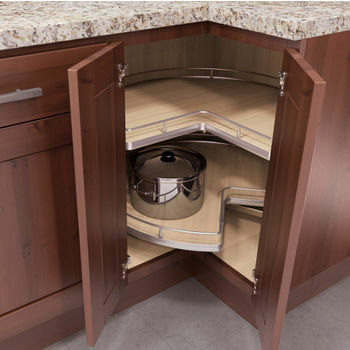 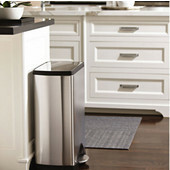 Lazy Daisy by Rev-A-Shelf gives you various storage options in your kitchen or living area, including built-in trash cans, hair appliance holders and more. 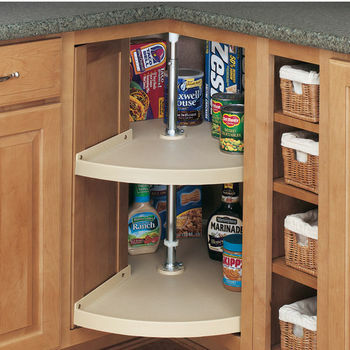 Vauth Sagel is an expert on kitchen organization, offering a large selection of ingenious cabinet pull-outs and lazy susans. 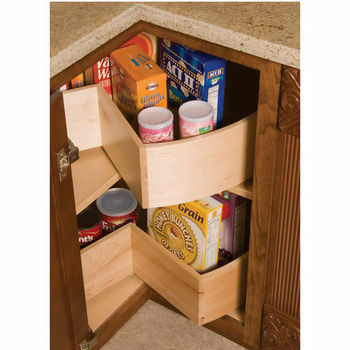 They combine design innovation, the latest technology, and fine craftsmanship to produce the highest quality drawerslides available.